Having a website can be advantageous in several ways. If you are a business owner, you can use your website as your storefront on the internet where customers can make inquiries or order products from you. If you are an individual looking for additional ways to earn income, setting up a website can provide you with a means to earn extra money by displaying sponsored ads and affiliate links on your site. Your website’s success depends largely on the number of people who visit your site. You are likely to sell and earn more if you have a high traffic website. Unfortunately, common mistakes in setting up and designing your website can prevent people from visiting or coming back to your site. Find out what these mistakes are and avoid them so you can increase your website’s chances at success. You should be aware that people who look for information online are impatient people. They like to see the contents of the pages that they are visiting immediately. If your website does not load fast enough, your visitors will leave your site and look for other websites that can provide them with the information or products that they are looking for. See to it that you have a fast loading website. To be able for you to do this, you have to make sure that you are availing of the services of a web hosting provider that uses the best and fastest servers available. Some web hosting providers, for instance, are known to overload their servers with too many users which cause websites to lag. Consider switching to a better web hosting company if your website suffers from frequent performance issues and downtimes. Even if you are hosted by an excellent web host, though, having a website loaded with too many images and video files can also prevent you from having fast loading page so you might as well trim down the number of media files that you post. Avoid using highly stylized fonts and bright colors in your website because they tend to strain your site visitor’s eyes. People tend to leave sites they find difficult to read. When choosing for a website template, look for one that uses a light background and dark text. People visit your website for updated information. Think how people will feel when they search for the current cost of hosted VoIP service and they find that your website displays the 2003 prices. Your site visitors will ignore the information, leave your site and look for more updated websites on the internet. See to it that you regularly update your posts so that they contain up to date information and materials. When you write articles for your website, see to it that you read and edit them before publishing them. 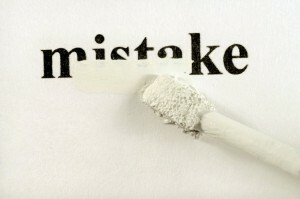 Your site visitors do not want to see a lot of typos, misspelled words and wrong word usage when reading your posts. Your titles should also be catchy and your posts informative and relevant to your readers. If you can’t write good articles for your site, try to look for a professional writer who can produce well-written content. Do not overuse keywords because it is not good for your site’s SEO. The search engines can flag your website as spam when you repeatedly and excessively use keywords in your articles. This can lead to your website to rank low in the search results.